Guild Input Into New Agriculture Conservation and Forestry Dept. 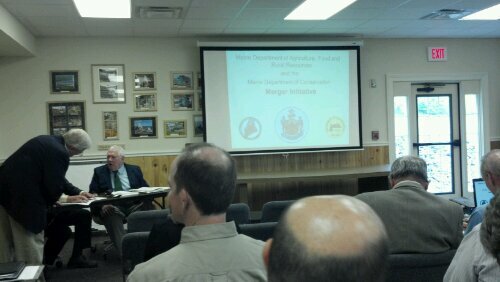 Broadly speaking the legislature has decided to merge the Maine Department of Agriculture with the Maine Department of Conservation. They have also transferred several functions from the State Planning Office to this new “super” department among other smaller moves across state governement. As these government entities contemplate how to re-organize under this single new entity they are holding public meetings across the state to hear from organizations and individuals who have an interest in this new department, and who want to have input on how it is finally pieced together. I attended a meeting held on June 26th in Augusta, and following are the recommendation I made on behalf of the Maine Cheese Guild to Commissioners Whitcomb (Ag) and Beardsley (Conservation). The Maine Cheese Guild is honored to participate in the discussion of how Maine will effectively combine oversight of Agriculture and Conservation efforts so that neither is slighted. For the Maine dairy industry a focus on conservation is especially apt, because Maine government must do a better job in conserving its dairy farms. In 1992 there were 1000 dairy farms, in 2002 there were 500, and in 2012 there are less than 310. I continue to argue that Maine’s dairies are the backbone of Maine’s agriculture since they provide the ready market for equipment and supplies throughout the state that all other farmers benefit from. Therefore we should not look at Maine dairy as the ‘canary in the coal mine’ — Maine dairy IS the coal mine, and a significant loss of these farms will be a significant loss to ALL Maine agriculture. The former Maine Department of Agriculture publicly admits that Maine dairy farms *quote* “are in crisis” *end quote*. Meanwhile Einstein defined ‘insanity’ as the act of doing the same thing over and over and expecting a different result. The Maine Cheese Guild looks forward to working closely with this new “super” department to help the legislature adopt better and empirically effective ways to support Maine dairy this year, next year, and for the next 50 years. The time to act is now; in fact the time to act was 20 years ago, but better late than never. Legislators cannot “set it and forget it” when it comes to agricultural policy. This department will need to be prepared to rigorously test the outcome of policy changes so that it can defend the successful among them, and urge change to policies proven ineffective. Meanwhile over the last ten years Maine’s value-added dairy sector has been booming, more than doubling the number of cheese makers. In fact, we expect to produce well over 1 million pounds of cheese in 2013, which is more than 10 times what was produced in 2002. Maine produces some of the best milk in the world, and that has been proven in the numerous national and international awards won by Maine cheese makers competing head-to-head against Vermont, Wisconsin, Quebecois, and European cheese makers. 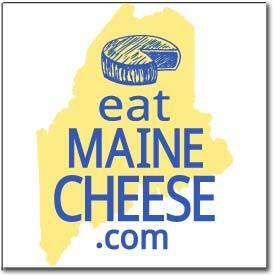 Maine is beginning to gain a reputation for high-quality dairy products. While fluid milk producers in Maine struggle to make enough income to cover the cost of production, value-added producers are struggling to satisfy an overwhelming market for Maine yogurt and cheese. The politics and intricacies of state and federal dairy price supports melt away when value-added processors can mark-up their products in multiples of more than four times the cost of fluid milk. This says as much about the profit potential in value-added products as it does about the cost of fluid milk. Dairy farmers work harder than anyone I know. One might argue that allowing these farmers leave the dairy business may be doing them a favor by shifting these farmers to less demanding and rigorous professions. However, it would be a mistake to justify bad dairy policy in this way. Not only does Maine’s entire agricultural economy benefit from a robust dairy industry, but dairy farmers love farming as much or more than any farmer I’ve ever met. They are passionate about their animals and the agriculture necessary to feed them in the best way possible. The loss of dairy farms also means the loss of skilled and motivated workers to the economy. In fact, our aim in reversing the loss of dairy farming in Maine should not be just to keep as many farms as possible, but our aim should also be a dairy industry that can pay these hard working dynamos a FAIR WAGE for their efforts. Where ever milk is discounted by retailers as a “loss leader” the message to consumers is that milk is worthless. Somehow this agency needs to counter that message and tell Mainers that our dairy farms are so important, and our dairy farmers are so talented, that consumers should feel lucky to have ready access to such a unique and valuable product. It may come as a surprise to hear that this department already has effective tools at its disposal to begin to turn around its dairy industry, if only they were applied more effectively. Maine’s cooperative extension resources bristle with people and programs that can help every dairy farm immediately bring their costs down and quality up. Maine’s dairy inspectors have, in the past, been able to function as important dairy consultants working one-on-one on a regular basis to help dairy processors start, grow, and succeed. And the Farms for Maine’s Future program should immediately enroll every dairy farmer in the state to give them the directed focus of a team of agricultural and business professionals who can help them update or create a business plan that will take each farm profitably forward into the future. At the same time it is obvious that new ideas and solutions are necessary to completely turn around Maine’s dairy losses. The Maine Cheese Guild is committed to playing its role in the discussion and implementation of every critical step to success because we can’t make cheese if we don’t make milk. Thank you for allowing us to begin that process as this newly formed department begins its work for Maine. Posted in Guild, News and tagged Leg, Licensing, Maine, Regulation.